A person having visions should urgently consult a psychiatrist, recommended much respected former German Chancellor Helmut Schmidt to such visionaries some time ago. 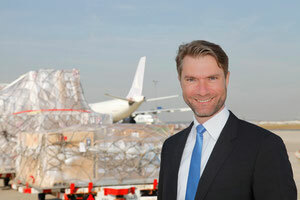 Joachim von Winning, Executive Director of the Air Cargo Community Frankfurt is a visionary in the Schmidt’s sense. However, instead of going to a doctor to get cured from his visions he tries to give his perceptions shape and set them into practice – for the benefit of the entire air cargo industry. Self-propelled dollies rolling on special tracks and in compliance with security regulations through Frankfurt’s CargoCity South from a ground handler’s warehouse to the apron of the airport packed with shipments for being loaded on board an aircraft – that’s just one of Joachim’s many visions for enhancing the flow of goods at Europe’s largest cargo airport. “The basic technique is existent,” states the manager, referring to leading car producers like Mercedes, BMW but also Google that have successfully developed solutions for driverless and thus automated motion of their vehicles. What’s still missing is the broad public acceptance of this future mode of traffic. A problem, unit load devices moving autonomously within cargo areas of an airport shouldn’t have. 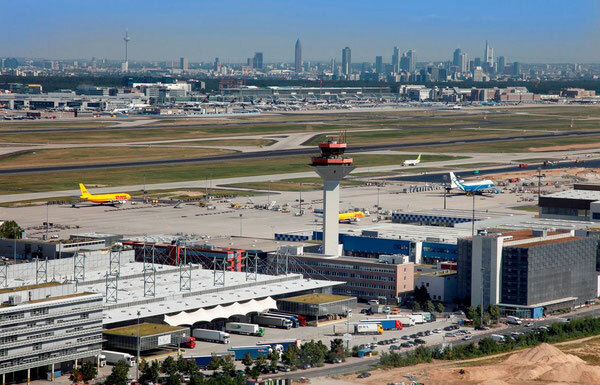 “Realizing this aim would underpin Frankfurt Airport’s role as innovative technological leader when it comes to air freight,” states the manager. Another visionary topic standing high on his list of priorities is reducing the time needed for presenting shipments to customs officials. He reports of an initial success by offering all actors including customs authorities a neutral electronic platform for exchanging transport data. Due to this digital tool the time needed for presenting a shipment to local customs officials was cut down from formerly 45 minutes to currently 30 minutes. However, “we aim to become even much better,” announces von Winning. This Fair@Link named web application, enabling a comprehensive, neutral and customized access for each user was implemented at FRA last January interconnecting all parties involved. Once in operation the traffic would be dispersed, handling agents would know exactly at what time a truck arrives at their terminal, they could optimize the work effort of their staff and increase temporarily or reduce their personnel needed for handling the goods. A research project is currently under way; an experimental model will be kicked-off soon, announces manager von Winning. Open issues asking for answers. According to Joachim, a decision on model A or B will be taken by the ACC members before this year ends. According to data obtained by his association nearly 100,000 tons of pharmaceuticals are leaving or arriving Frankfurt by air each year. That’s nearly 5 percent of the total cargo throughput at Rhine-Main. An astonishing figure, widely unknown so far in public. “Through our daily contribution we save lives in Africa or elsewhere by fast processing medicines, vaccines or insulin. From this perspective air freight and aviation must be seen as indispensable actors for healthcare and even as life savers for thousands,” emphasizes the ACC chief. So why doesn’t often criticized big Fraport have more people knowing this by actively communicating these great achievements? “Ask them, we as ACC are keen in sharing specifics like these with as many people possible,” he states. Founded in the spring of 2014, the Air Cargo Community Frankfurt e.V. is an association aiming at continuously improving air freight processes at Rhine-Main. It is comprised of 33 members, including smaller actors but also well-known firms like Agility, AirBridgeCargo, Air Canada Cargo, Chapman Freeborn, Celebi, Emirates SkyCargo, Kewill, LUG aircargo handling, Riege Software or the Frankfurt University of Applied Sciences. Up to now its two founding key members Fraport and Lufthansa Cargo provided start-up financing but with all members paying a contribution according to their financial turnover and number of staff beginning next year. All members have the same voting rights, including LH Cargo and Fraport, guaranteeing the principle of the association’s neutrality.